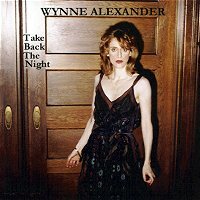 Wynne Alexander is one of the first artists ever featured on Collected Sounds. She took a real interest in what I was doing here, and I took an interest in her music as well. Mostly because it was so unique. Even six years later and listening to thousands of new albums since then, she’s still one of a kind. I have a special place in my jaded musical heart for her. You can call it cabaret or jazz or blues or lounge or even pop. But it’s really none of those and all of them at once. Wynne’s voice is deep and sultry, think Marlene Dietrich or more currently, Xyra Harper-Cann . The music matches well as it is also sultry and theatrical. Some folks think I mean that in a derogatory sense and I assure you I do not. Theatrics are a good thing indeed. The songs are well written, intelligent, sophisticated and catchy without venturing anywhere in the neighborhood of mainstream. She can also be a little silly at times. Listen to this record a few times and I know the songs will implant themselves in your head. Yes, that’s a good thing. They are very grand. There’s a lot of instrumentation going on here. I imagine these songs performed in some dark, smoky cabaret or speakeasy with velvet on the walls and lots of free flowing adult beverages. “Nightwood” has a nice xylophone-sounding intro. It’s instrumental so we miss Wynne’s vocals, but it’s very nice. “There’s a Problem in the Land” is the one that stands out the most to me. Though it hardly sounds like it on the surface, it’s a political protest song. ‘koo-koo-kachoo’. …and for longest song title, Wynne wins (heh) with “If You Don’t Want to See Me, I Don’t Care ‘Cause I Don’t Want to See You”. Of course I really like this one because it’s real piano heavy. “Should You Find Yourself” reminds me of the well-loved Jill Tracy. This album is not for everyone, I’ll give you that. But if you have an open mind and like to hear intelligent, different, maybe even strange music, you have got to give this record a spin. Comment: Exquisite voice, delightful music, heavenly piano, here we are with the angels. It’s sublime and enchanting. I love it.